There are people who make the transition in a relatively gentle way, but there are many who experience a crisis when this happens. These are usually the people who have chosen to open up to the higher dimensions. This choice is not made logically by the rational mind, but is rather a soul choice made in response to the available transitional energies of the Earth herself. A person who has previously been sociable and active suddenly finds they can’t bear to be in shopping malls or in crowded environments such as restaurants. 2) An increase in psychic ability and awareness. This most often manifests in the ability to almost “hear” the inner thoughts and feelings of others. This can be disconcerting if the person imagines that everyone else can also read their thoughts and feelings. 3) An extreme sensitivity to negative energy in certain environments or people including the inability to tolerate certain people who had previously been close. 4) The person might also find themselves “zoning out” for long periods of time Just wanting to sit and do nothing. This can be irritating to someone who has previously been very energetic and active. This is just the consciousness adjusting to spending more time in the higher dimensions and less time in the 3rd and 4th dimensions. Related to this is the need to rest and sleep for far longer than previously, and a general slowing down. 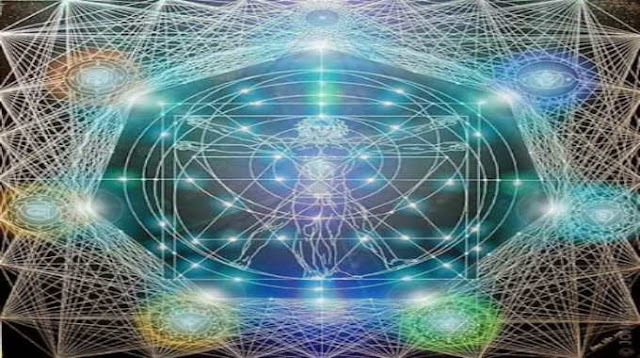 This is because multi-dimensional consciousness can access all levels of the group mind, including that part which holds the fears and anxieties about the survival of the species. Since the person is often concerned about their own survival, they tend to resonate with this part of the group mind or morphological field. Leading to the mind becoming overactive and the person fearing they are losing it or suffering from “burn-out”. Also a fear of going mad and being unable to cope with everyday life in the future. Again, psychologists and doctors seem able to offer very little help. This is often just the consciousness clearing out old layers of energy that need to be released. It is not necessary to “process” or relive the experience, just allow the body to release the energy. Have patience with the process and know that it will pass. Often waking up to 3 times a night, or just at about 3 am. Again this is just the consciousness adapting to new cycles of activity. Higher consciousness is often more active at night since the lower dimensions are quiet at this time. The Crystal body holds no toxins, but allows everything to pass through it. In fact the eventual trick to being Crystal is just to allow everything to pass through and hold onto nothing. The ultimate state of detachment. But at this stage the body needs to release years of “toxic” waste, whether physical, emotional or mental The release is always through the physical body, which presents symptoms such as intense fatigue, muscle and joint pains especially in the hips and knees, headaches, especially at the base of the skull, and neck and shoulder pains. This post was republished from www.spiritualunite.com You can find the original post here.